You going home to africa? I was not articulate enough to convey the sorrows of being orphaned to the likes of him. Lest he forget from whence they came. At least I had a good beer. There are signs of the struggle. And some struggle more than others. Ripple more, rustle more, burn more. To escape this cape of humanity that cages the god in him. And there are signs of the struggle. When the brakes are not enough. On his pages was blurred images. 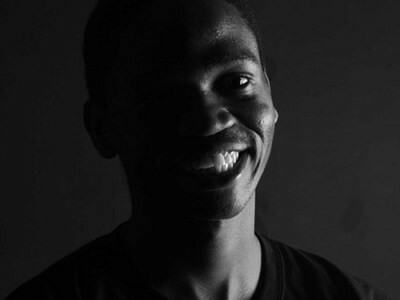 Thato is a poet, currently working as a copywriter at an ad agency. He is also co-founder and current leader of the Poets Passport Organization in Botswana, a literary arts movement aimed at promoting literacy among the youth. Thato started writing poetry when he was 10 years old, but started performing publicly and competing in slams when he was 18. He was active during his university years having won the Kuala Lumpor Slam Championship several times and lastly becoming the AsiaPac Champion in 2012 before returning to Botswana. In Botswana he has performed at 100,000 Poets for Change Event, and at the Poetavango Maun International Arts Festival. One of Thato’s poems, Asphyxia was published in the inaugural edition of Readings at Readings, an anthology of Malaysian writers. Thato is passionate about developing young writers and helping writers find their voice in their mother tongue.